Shonan IPA Southern Cross is 6% American IPA from Kumazawa Shuzo, based in Kanagawa. It’s part of their experimental American IPA series of beers on tap that use a variety of different hops. The Southern Cross hops, first released in 1994, are a species that has its base in three different hops: the New Zealand variety “Smoothcone” and a 1950’s research variety bred from a crossing of an early North American type known as the “Cali” (short for Californian) with English Fuggle. 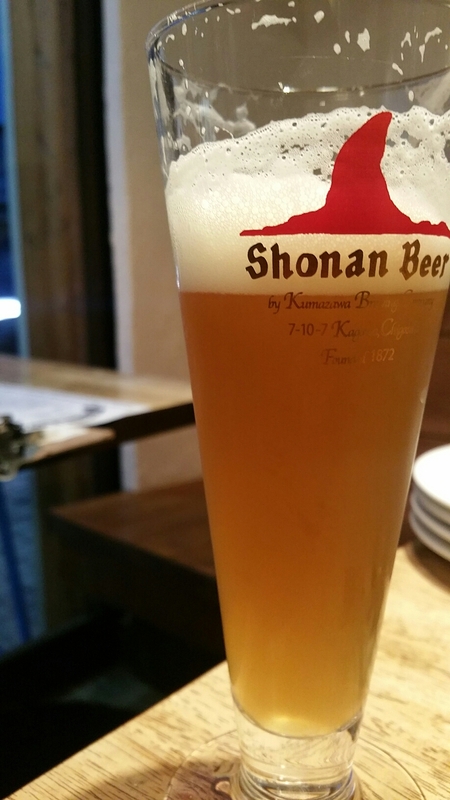 Shonan IPA Southern Cross can be found on tap only with no plans for bottling at the time of writing. It was first released in January 2016. Big fruity aromas and flavours with this beer. Shonan IPA Southern Cross poured out a deep hazy golden colour that didn’t clear up during settling, along with a sticky frothy head on top that had some solid lacing right down to the final sip. The aroma coming off of it was fruity, very fruity, with big hints of orange, pineapple, and some lemon too. There was also a slight hint of pine to it as well but those big tropical flavours were the driving force of this beer. The body had a strong American IPA base to it with a strong bitterness followed by a solid crisp malt base to it. The fruity flavours pushed through the bitterness of Shonan IPA Southern Cross and lent it a tropical quality to it. If only there were a beach nearby and some warm sun to sip this in, then I would be happy. The body was refreshing and the final aftertaste brought back the hop bitterness back again though it didn’t last long. The Shonan IPA experimental series has been hit and miss recently, but with Shonan IPA Southern Cross it’s a definite hit.